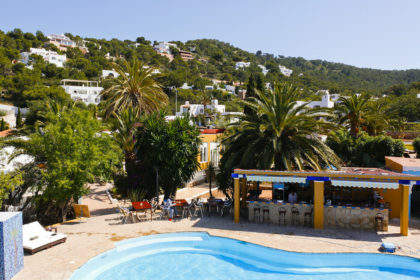 Ibiza luggage storage/bag drop and Rude Café are conveniently located in Playa den Bossa, only a short cab journey away from Ibiza airport. Ideal when you have an early check-out but a late flight. Drop your bags with us, relax and go enjoy your last day in Ibiza! If you’d just prefer to chill, then feel free to relax on our super comfy recycled pallet sofas. Get a cool drink from the bar or grab yourself some food before setting off for your flight. Nothing worse than finding yourself hungry on the plane, right?! We’re masters of the full English cooked breakfast and we’ll be serving up brekkies, butties, burgers and British comfort food galore. If you are leaving the island on an evening flight, when you return to collect your bags, for an extra €5, you can also take a shower and print off your boarding pass for free (printing charge for non-bag drop clients a further €5). One less stress for you & a little thank you from us for your custom. The Ibiza luggage storage/bag drop and Rude Café are open from 8am until 9pm, so all bags must be collected by then. Read more about our cafe and what services are on offer here.